Place all ingredient in a mixing glass and shake hard. 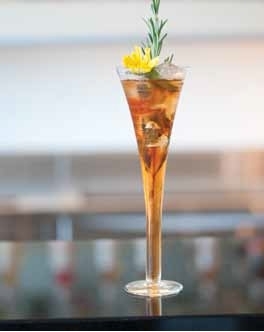 Strain and pour mixture into a cocktail flute glass. Garnish with edible flower and rosemary stick.